Connect with us & we can help you find your place within our many study & service groups. Come and find a place to belong! 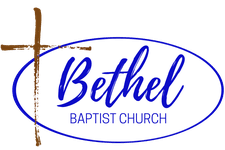 Copyright 2019, Welcome to Bethel Baptist Church. All Rights Reserved.